May the Force be with Origin's servers. Forget about Christmas. It’s May 4th that’s come early for Force fanatics this year. Just yesterday, HP revealed a slick Star Wars-themed laptop that comes with everything but a thermal detonator—it even shrieks like R2-D2 when you insert a flash drive—and today, the highly anticipated Star Wars Battlefront free beta test is going live. Even better, unlike some locked-down, invite-only betas, the Star Wars Battlefront beta will be wide open when it goes live at 1 p.m. Eastern time. Anybody can play it, as long as you have roughly 11GB of free space on your hard drive and meet the game’s fairly lenient PC requirements. Assuming you meet those criteria, all you have to do is boot up EA’s Origin service and start downloading the beta. We received early access and liked the Star Wars Battlefront beta better than the prequel films. It’s limited to a trio of modes, each locked to a different set location. The best of the bunch is Drop Zone, on Sullest (pictured above), a fast-paced 16-player game that has Rebel and Imperial teams rushing to claim and defend dropped escape pods. It’s sort of like a more dynamic version of Battlefield’s Rush mode combined with King of the Hill, and it’s an utter blast. The co-op Survival mode is basically the now-familiar Horde mode reskinned for Star Wars, but it’s still fun and Tatooine looks amazing. 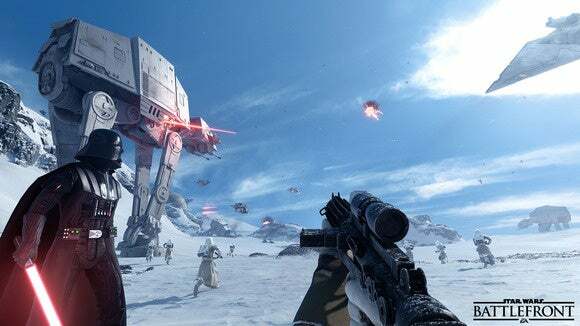 Finally, Walker Assault lets you relive the classic Empire Strikes Back Hoth assault, complete with vehicles, Darth Vader, and Luke Skywalker. Unfortunately, it’s the weakest overall experience of the bunch, as we explain in detail in our hands-on with the Battlefront beta. 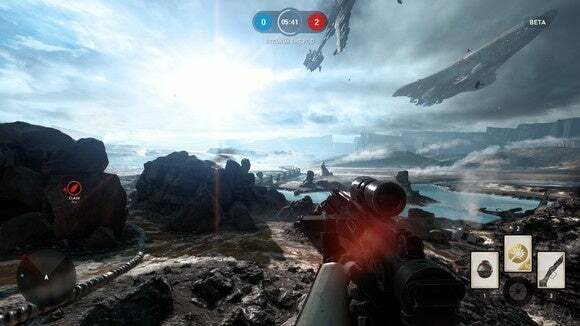 Even if you’re meh about the idea of a Battlefield-tinged Battlefront experience (the game was made by DICE), the beta’s worth tinkering with just to soak in the eye candy. The game’s absolutely gorgeous, and both Nvidia and AMD have released graphics card drivers optimized for Star Wars Battlefront. Assuming EA’s servers or the game itself doesn’t crash and burn during the beta, Star Wars Battlefront is scheduled to hit the streets on November 17. You’ll be able to play the beta through October 12.